Elstead Lighting Helsingor single light fitting displays a simple, circular wall plate with a stem supporting a contemporary, lighthouse style upwards lantern in matt black finish with clear glass. The product code for this Elstead wall pedestal is HELSINGOR BK. Manufactured from 304 grade stainless steel this classic and robust Scandinavian design will stand up well within even the worst weather conditions. It comes with a 15 year manufacturers guarantee against structural failure to ensure reliability and a long life-span. 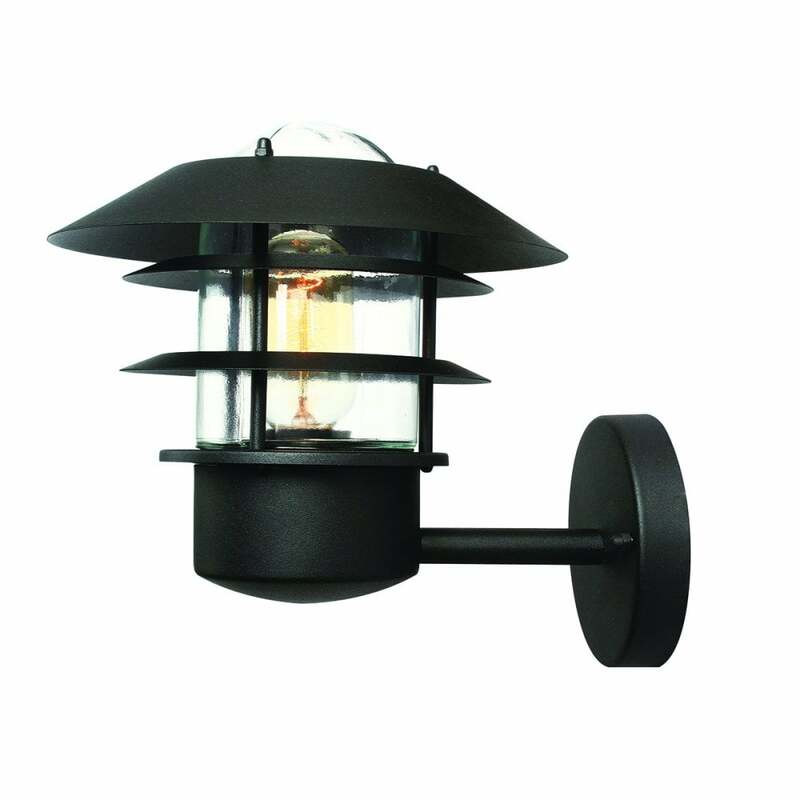 This modern range is also available with a PIR sensor, a bollard or a post light for a co-ordinated look. They are available to order from our website along with the rest of the Scandinavian collection from Elstead Lighting.